You'll be £9.99 closer to your next £10.00 credit when you purchase Hawker Hurricane. What's this? The Hawker Hurricane designed by Sydney Camm was the British produced single-seat fighter aircraft which was flown by the RAF from 1937 onwards. It was a product of Hawker Aircraft Ltd. and it arrived just in time to affect the outcome of the Battle of Britain. Although the fame of the Hurricane is often overshadowed by the more famous Supermarine Spitfire, the aircraft became renowned as a superb fighter during the Battle of Britain and it certainly played the dominant role accounting for 60% of the RAF's air victories in the battle. Almost 15,000 Hurricanes were built between 1937 and 1944, and they served in all the major theatres of the Second World War. This DVD, much like the Spitfire DVD released earlier this year, tells the story of this iconic aircraft through original British wartime footage including the fighter's construction, test flights and footage of the aircraft in action against the enemy and combines this with new aerial footage. This is one of those videos that must be watched. The DVD contains a huge amount of authentic images from both world wars and the world record attempts that were done in between that time, by different countries. The whole history is commented in good english and gives you a proper view of the era of this beautiful aircraft. All in all an interesting DVD with a high propeller and war content. The DVD covers the Hawker Hurricane from it’s humble beginnings brought on in the aftermath of the Great War. The beginning of the DVD shows much footage and information about the Bi-planes used in WWI and the progression up to the revolutionary design known as the Hurricane. There is a tremendous amount of excellent period footage of the Hurricane all supported by narration describing the planes various upgrades and fields of operation in great detail during WWII. 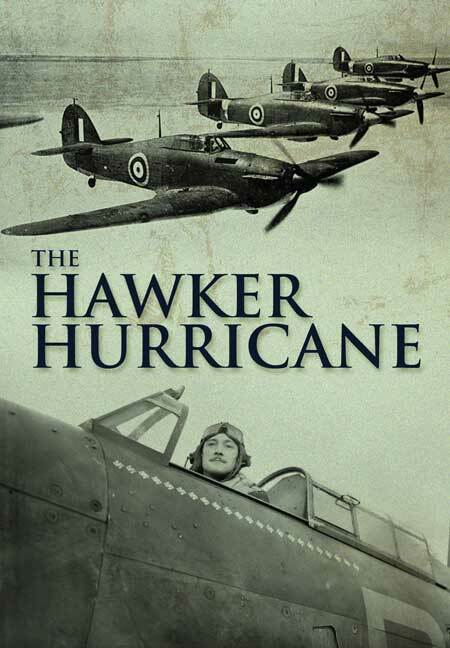 I felt The Hawker Hurricane DVD is a fine look into the history of this often overlooked protector of Britain. There is great deal of information surrounding the aircraft from the development to its demise in service. I would recommend this DVD to any one interested in this aircraft and the history around it.